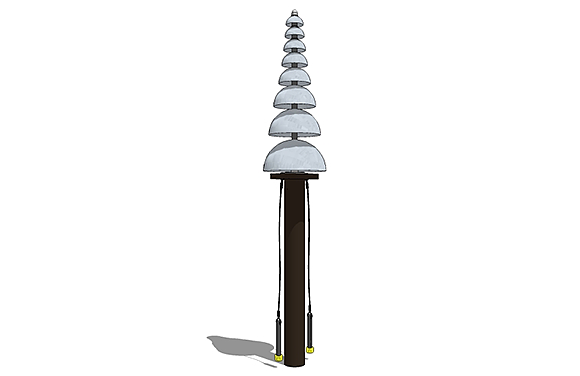 Another sculptural and gorgeous sounding outdoor musical instrument from our Freenotes line of commercial park equipment is the Pagoda Bells. Composed of 8 stainless steel bells arranged vertically to resemble the Asian architecture from which it borrows its sound, this product produces lush, relaxing tones. These bells are durable and maintenance-free. They offer a calming and aesthetically pleasing addition to gardens, parks, playgrounds, nature trails, and other outdoor settings. 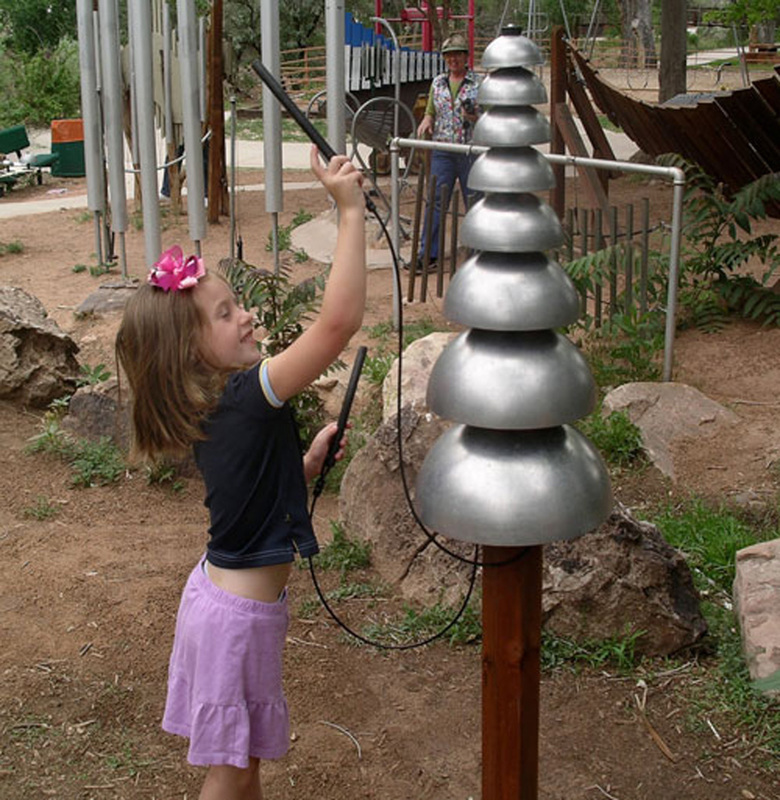 Two mallets are included via braided steel cables (vandal resistant), allowing up to two people to play simultaneously. When played with our other Freenotes instruments, people can harmonize easily without any prior musical experience! Comes with 5 year limited warranty, but designed from commercial-grade materials to outlast that time period vastly. Some of these same instruments have been in parks for over 20 years already! Call American Parks Company at 800-381-4491 to learn more, or to request your FREE Custom Playground Equipment Quote.